Fashion Polish: Enchanted Polish Spring into Summer collection swatches & review! 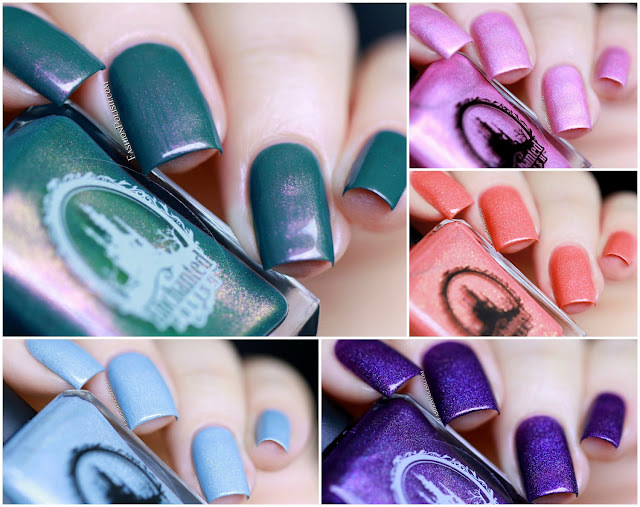 Enchanted Polish Spring into Summer collection swatches & review! I hope you're all having a great weekend so far. 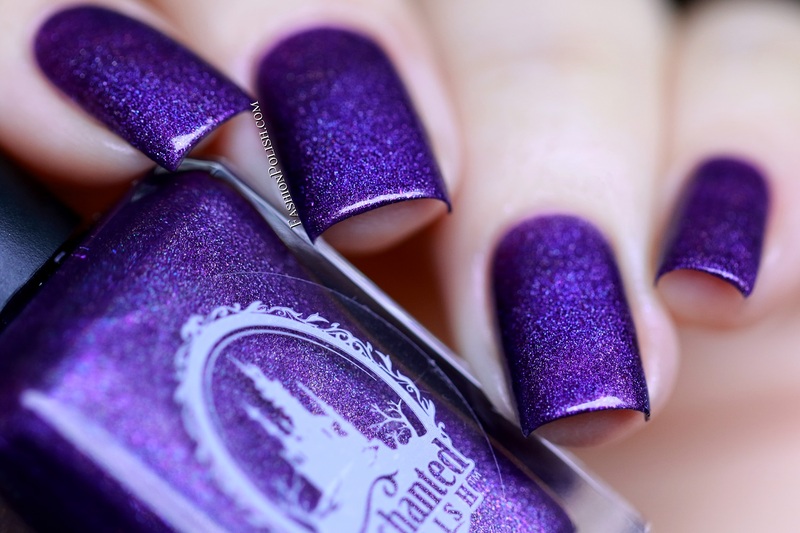 If you're an Enchanted Polish fan, it's about to get better because a new collection is launching today! Formula was simply flawless on all of these new colors. Super pigmented and self-leveling, you'll probably be able to get away with one careful coat on most of them. 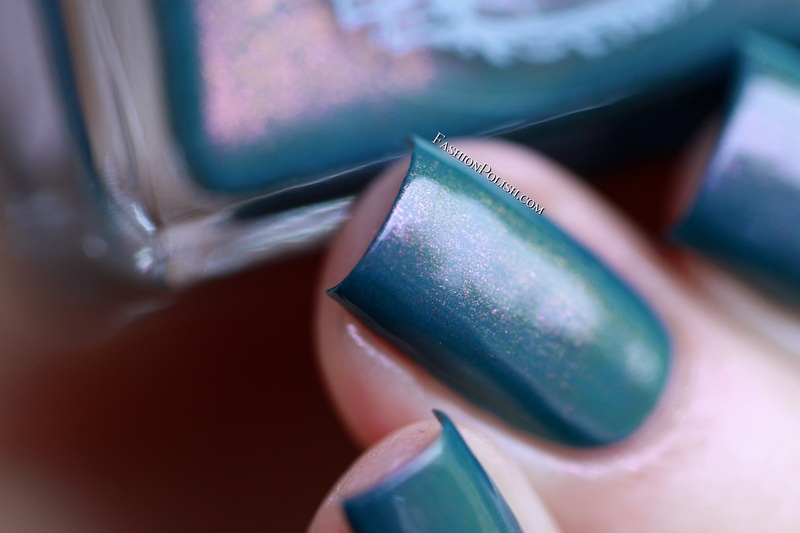 I used 2 coats (plus topcoat) for macro purposes in all of my swatches. Pictures are taken in natural lighting, during daylight on a cloudy day. Posie is a soft lilac-based pink holo filled with purple, pink and gold shimmers. It has just enough purple to avoid the "girly-pink" zone. The shimmers also add a lot of dimension and complexity to this nail polish so it's definitely not your average pink pastel holo. 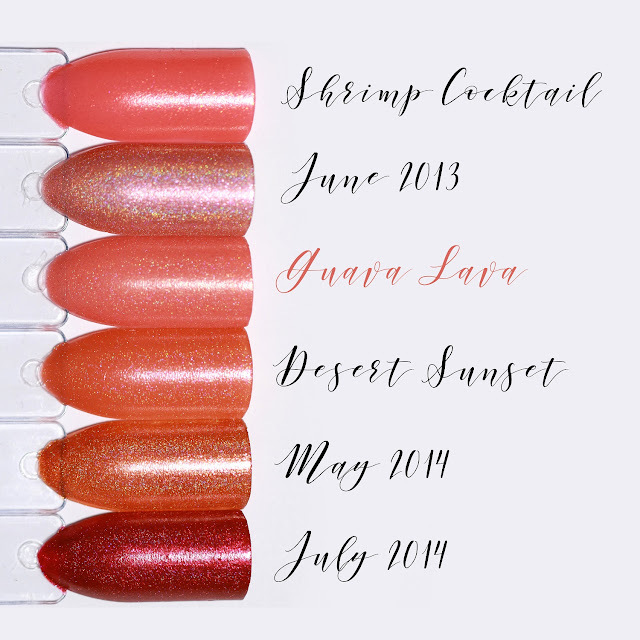 Guava Lava is a guava/coral holo with gold shimmer particles. 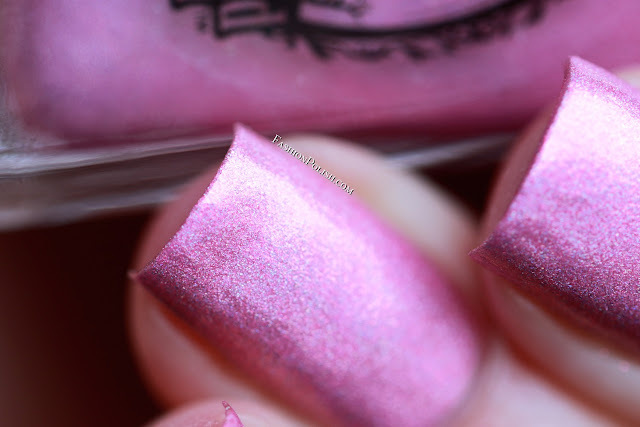 It's such a happy color, I really loved wearing it and can see it working on lots of different skin tones. 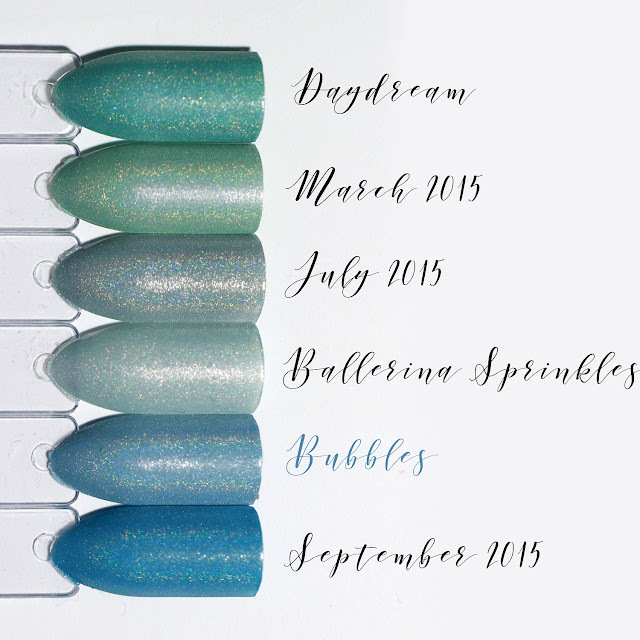 Bubbles is a blue holo with a grey hue and a subtle gold shimmer flash. 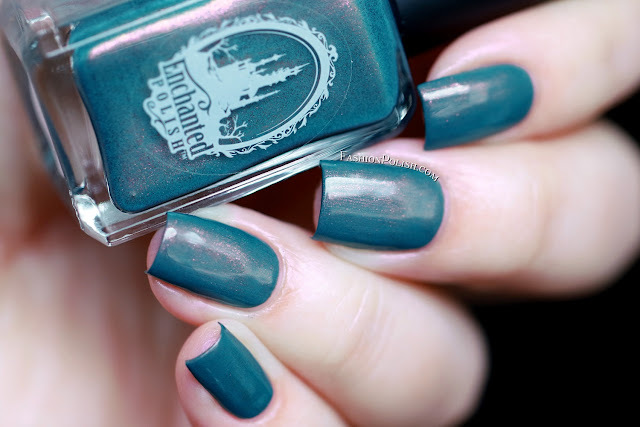 To my surprise this one is very different from the previous Enchanted Polish pastel blues. I really love the subdued, dusty look it has. 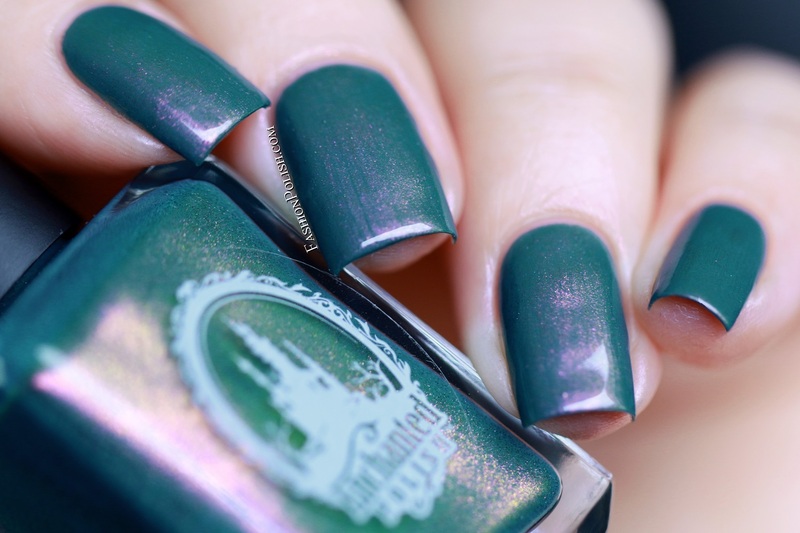 Moon Lagoon is a unique teal green filled with intense magenta to gold to green color-shifting shimmers. 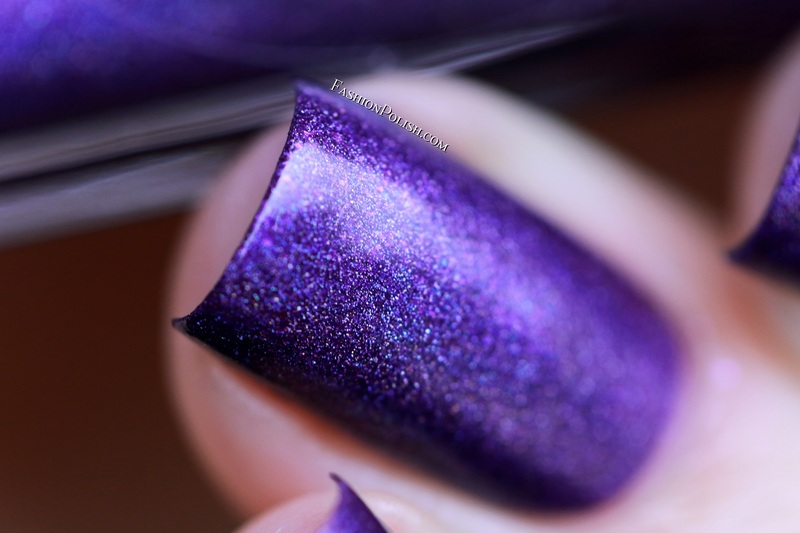 It's the only non-holo of the collection but what it lacks in rainbow it makes up for in color-shift! I absolutely love this one, emphasis on L.O.V.E. 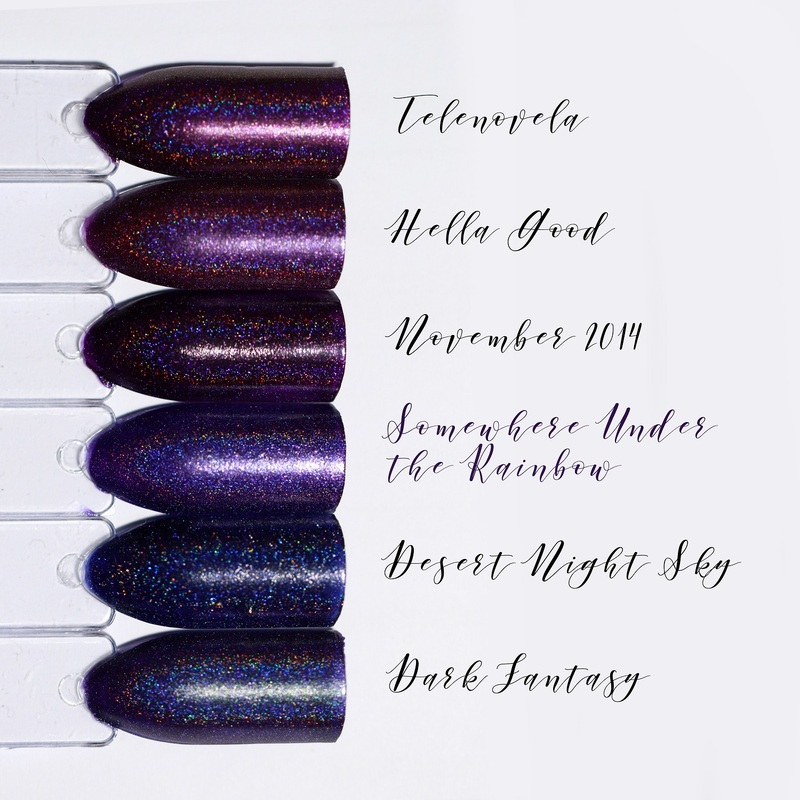 Somewhere Under the Rainbow is a dark purple holo with a mix of blue and pink shimmers. 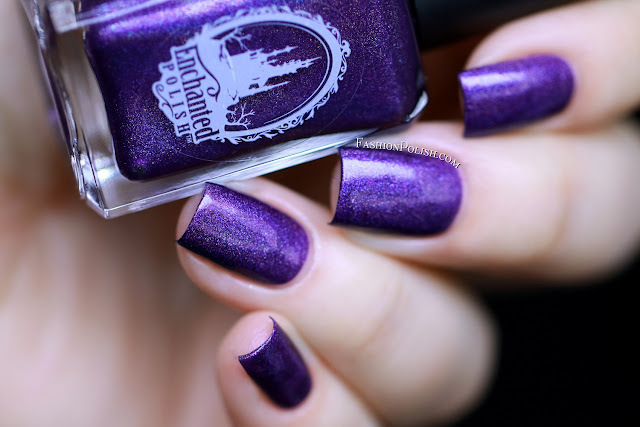 You know how some holos end up looking meh in the shade? Well it's most definitely not the case with this one, it's so beautiful either way. It also falls right in the middle of the previous EP purples spectrum so no dupes here. 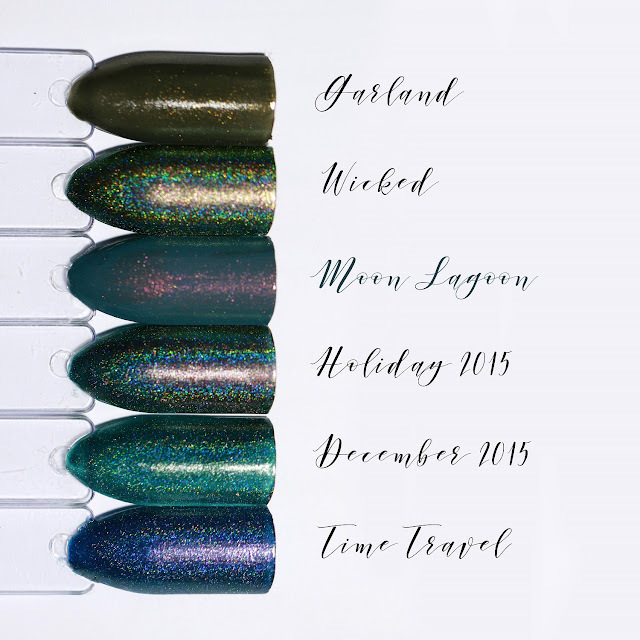 The Enchanted Polish Spring into Summer collection is launching today at 11am PDT on enchantedpolish.com. Don't forget to set your alarms (this collection won't be available for preorder).